Mr. Byrne has been offering advice and assistance to persons pursuing claims for short and/or long term disability benefits since 1990. 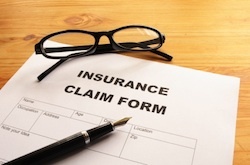 The claims usually involve an employee, or former employee, pursuing a disability claim under a disability plan provided by an employer and/or insurance company. Since 1990, Mr. Byrne has investigated short and/or long term disability claims and advised claimants who were pursuing their claims with plans provided by businesses in the private sector, including plans governed by the Employee Retirement Income Security Act of 1974, (ERISA), and plans provided by government entities, including the Virgina Retirement System. Depending upon the facts and circumstances of the particular case, Mr. Byrne will represent persons with short and/or long term disability claims governed by ERISA, claims with the Virginia Retirement System or other disability claims.